Its latest stunt is not going down well with the public. The old trio that once ran "Top Gear" was infamous for their hilarious antics, interesting choice in vehicles and for making people upset. The old hosts found themselves upsetting people on a regular basis with hurtful statements and ridiculous antics. True to form it seems like new host Chris Evans and his crew know how to piss people off just as well as the old trio. During Ken Block and Matt LeBlanc’s recent drifting session, the duo managed to do some smoky burnouts in front of a war memorial in London. 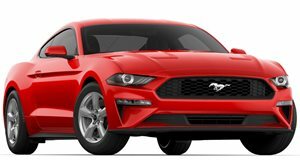 According to the BBC, the session, which was done in Block’s Ford Mustang, has caused outrage because of the burnouts that were completed in front of The Cenotaph in Whitehall. The Cenotaph is a national war memorial that was put up after World War I and is one of the country’s most admired sites. Apparently, the antics left skid marks near the section of the memorial that commemorates women’s contributions to the war. This has obviously made some people upset, which is something that feels all too familiar for "Top Gear." A spokesperson for Westminster City Council, which governs the London borough where the memorial is located came out with a statement. “What the Top Gear team did on the day was not what had been agreed during the planning process,” stated a spokesman for the Westminster City Council. “At no time had the BBC producers made Westminster City Council aware that the car was going to be doing anything but drive down Whitehall. There was no discussion about wheel spins and a doughnut and permission would not have been given to do so.” Unlike his previous hosts, Evans came out and apologized on air during his BBC Radio 2 breakfast show. He also promised that the specific part of the segment in question would not be on TV. It didn’t take too long for the show to have its first controversy and, for some reason, we think there will be many more to come.